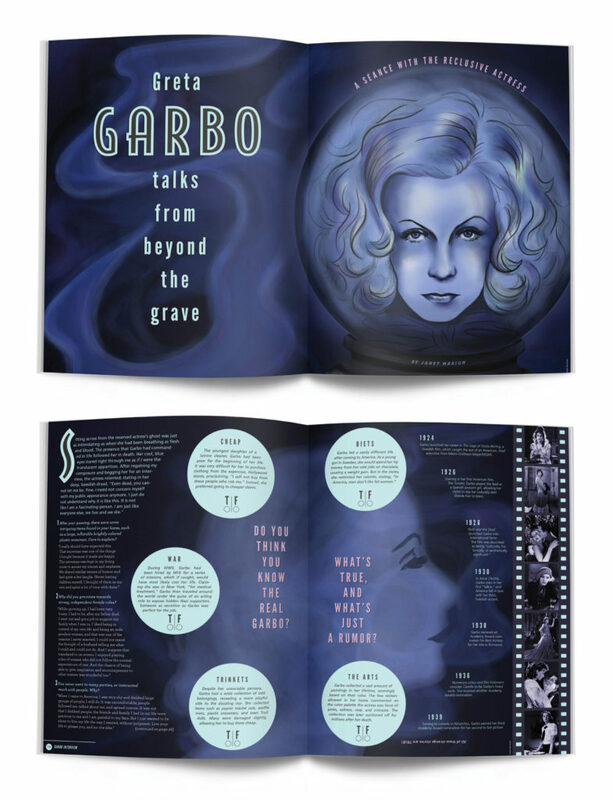 This double page spread created for the annual Society of Publication Designers Student Competition is a 50-question interview with the ghost of Greta Garbo. I illustrated Garbo in a mix of watercolor and digital painting. Looking at the old movie posters that featured Garbo, I wanted to both recreate that vintage feel when illustrating her, but also give a modern twist to it with the digital painting.